Just yesterday I talked about how I haven't really managed to branch out of my comfort zone, style wise, at all this year, and a big part of that is the fact that I pretty much never wear anything other than stud earrings. There was actually a time one summer when I put on a pair of dangly earrings for work, and then proceeded to take them off when I reminded myself that I was going to work, not a party. 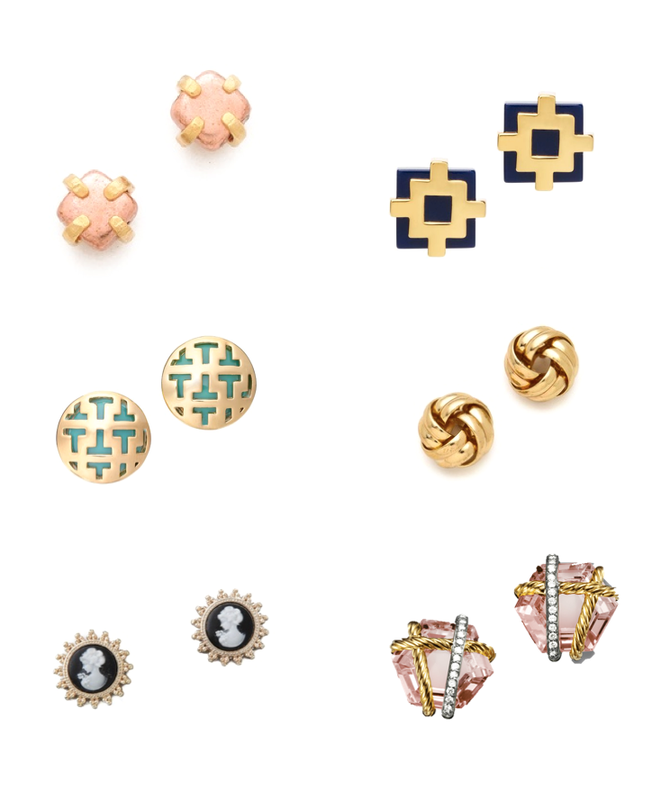 I realise it's a bit ridiculous, but I don't think I'm going to be able to change my habits anytime soon, so I spend my time online window shopping for pretty studs (at all price points) instead! Are you a bigger fan of studs or dangly earrings?